Nancy Block (Chicago) - Book Appointment Online! Our caring staff is dedicated to making your visit a positive experience and we are very pleased to provide you with the quality care you require and deserve. Your smile is important to you, and that makes it important to us. Preventative care is essential to your overall dental heath and we offer comprehensive dental services, including General and Preventative Care as well as Cosmetic and Restorative treatment options designed to promote complete oral health and a gorgeous smile. 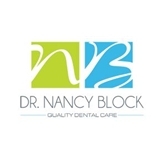 Dr. Nancy Block is a premier family dentist in Chicago, located near the Magnificent Mile in the prestigious 60611 zip code. As a Gold Coast Dentist, she understands the importance of providing quality service, exceptional care and competitive pricing that makes it possible for your family to maintain the health of your teeth and gums. She is so nice. I got in right away and I had to wait maybe 3 minutes before she came in. Highly recommend !